With the holiday season in full swing, no one has time for much other than holiday parties and present shopping. 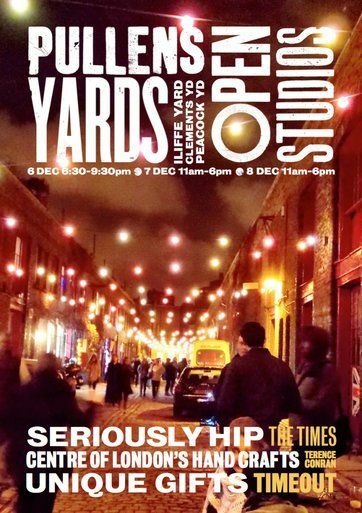 With that in mind, December’s top 10 list is only markets and open studios for you to explore. That way you can kill two birds with one stone and enjoy a lovely festive day while checking gifts off your list! Entry to all the markets is free but you’ll have to pay for anything you’d like to take home! 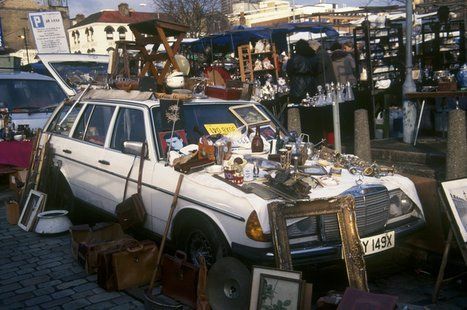 What: For one night only you can pop by Bermondsey antique market on a Friday evening for vintage shopping, live blues & jazz, mulled wine & mince pies. What: A market with a spin (literally). 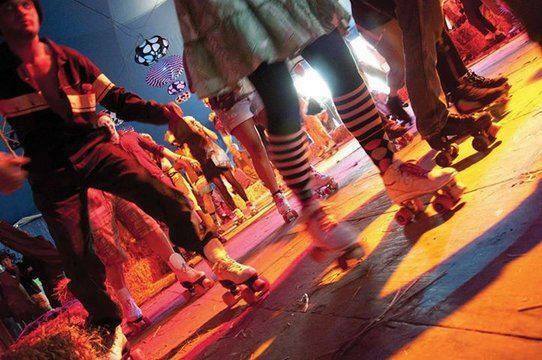 A vintage Christmas market, roller disco and real ale festival rolled into one location. There will be market stalls, DJs, crafts and a ferris wheel. What: Tucked away in Deptford is a bustling social enterprise called Cockpit Arts which provides studio space for over 100 artisans and makers. Join them for the weekend to take a look behind closed doors, drink some mulled wine, eat some festive treats and window-shop! Entry is only free on Friday. 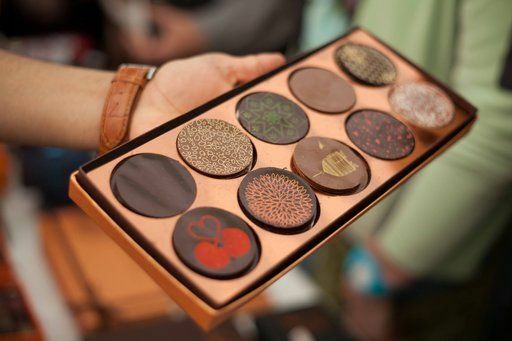 What: Discover some of London’s best artisans under one roof. 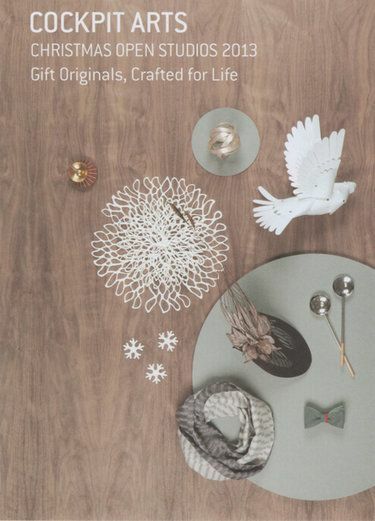 It’s the perfect location for unique, handmade gifts. And of course, mulled wine and treats will make an appearance. What: Another dose of holiday cheer south of the river. 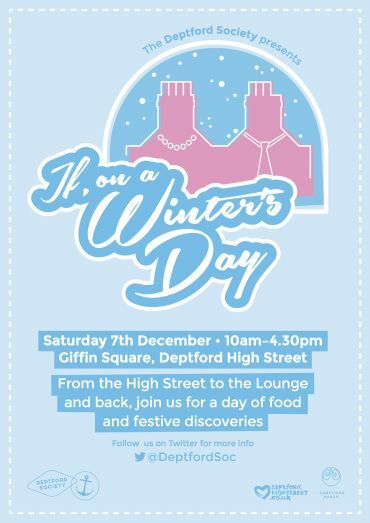 Besides the usual Deptford market stalls and food offerings, site-specific performances celebrating Deptford’s history will enliven the trail from the High Street to Deptford Lounge. What: More London claim the market will be full of local start-ups offering fashion, gifts, food and more. If you go at the right time you can meet Santa or take a ride on the bucking reindeer! What: Who doesn’t love chocolate? 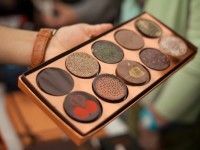 The Chocolate Festival is back just in time for the holidays! Treat yourself to a truffle or two. 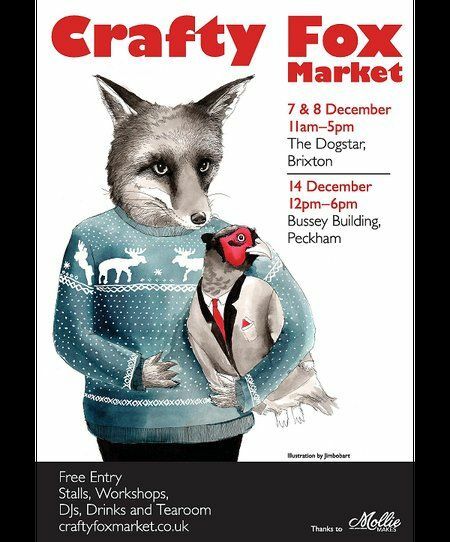 What: The Bussey Building is hosting a delightful holiday market with a twist. 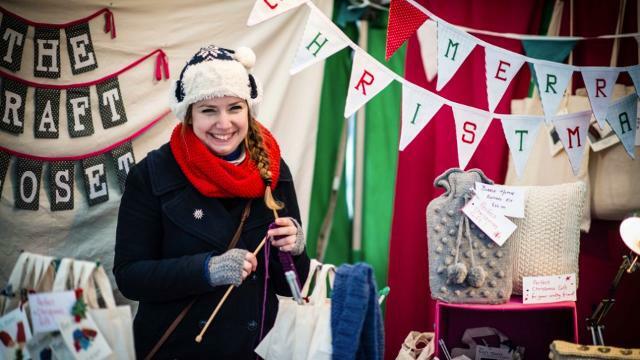 You’ll find artisan stalls, workshops, DJs, Drinks and even a tearoom. What: The holidays are for overeating, and the Southbank Centre is making it easy on everyone. Traditional and non-traditional festive fare will be available to eat as you walk around or take home with you at the end of the day. 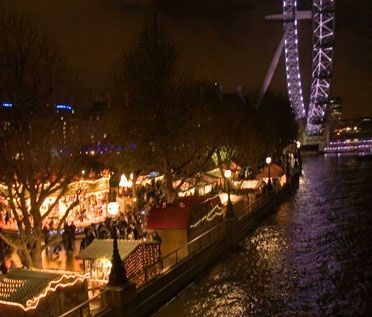 What: The Southbank has been transformed into an adorable german-style Christmas market. 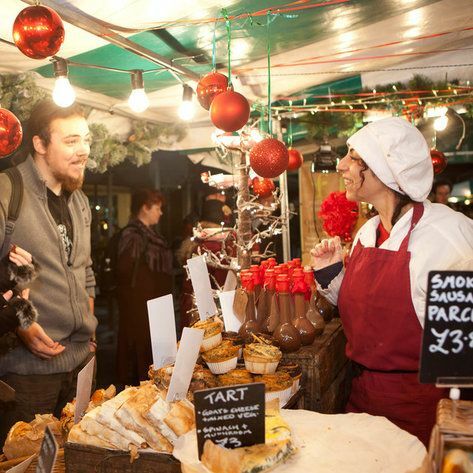 Fudge, Haribo, mulled wine, kitchy London souvenirs and even some handmade jewellery. The Southbank Market has all the usual suspects in a lovely setting. You may also want to check the Top 5 Free Christmas Parties in Town.